Bill, a retired civil engineer has always wanted to be a farmer. Moving to a 20 acre property in Eagle Creek created the setting, but Christmas trees did not prove to be a good agricultural adventure. 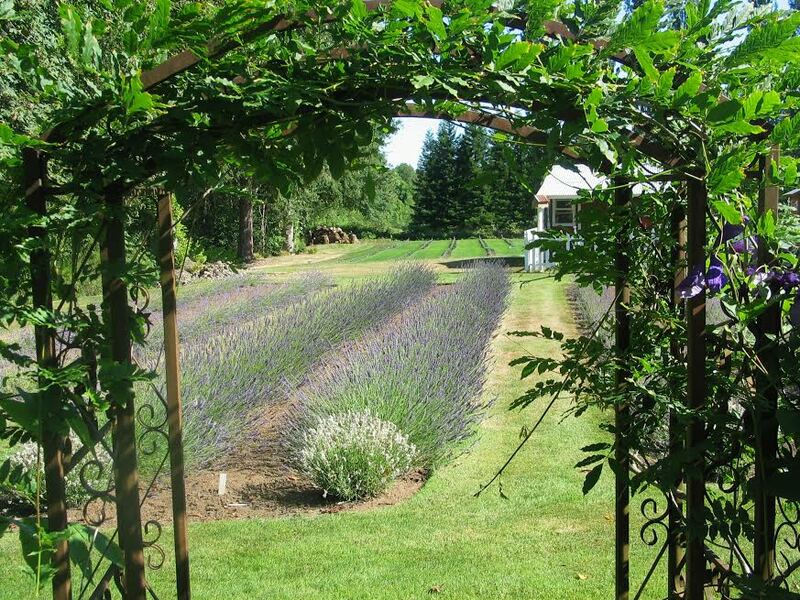 After years of research and evaluating options, he and wife Mary decided to create a lavender farm. In 2014, they started with 300 plants of 7 different varieties to make sure their soil and climatic conditions were conducive. As of 2019, they have 22,000 plants of 15 different varieties, with Buena Vista being the dominant variety for oil production. Eagle Creek Lavender is now one of the largest lavender farms in the region. Mary concentrates on fresh and dried flowers and lavender products, while Bill focuses on farming, essential oil production and culinary lavender . Bill’s other passion is antique and classic cars. His collection consists of over 30 cars, ranging from Model A Fords, to Packard’s to Corvair’s and even a 1941 Ford tow truck to pull them around. At any given time, there will be several cars undergoing restoration. Bill and Mary enjoy touring the old cars throughout the northwest each summer with car club friends. Recently, Bill has developed a self-propelled lavender harvester that is being sold under the name Starr Lavender Harvester. Go to starrmanufacturing.com for more information. Mary has always had a keen interest in gardening, animals, nature and antiques. Since retiring from teaching in 2012, she has realized her dream of combining all of these passions into what is now Eagle Creek Lavender. Surrounded by fields of lavender, wildflowers, flower beds, a vegetable and berry garden and the pristine banks of the Clackamas river, Mary is constantly in “her garden” and with nature. Her loyal companions include her big Norwegian Forest cat, Lenny and her pet, Rhode Island Red chickens. When Mary is not in her garden, you will find her at The Vintage Nest in Oregon City, showcasing Eagle Creek Lavender's products and selling antique, vintage and repurposed items . The Lavender Shoppe at Eagle Creek Lavender keeps Mary busy as well, offering visitors a wide variety of lavender products surrounded, of course, with antique and vintage pieces.